Hello all my crafty friends. Well its been a while since I posted anything so I thought I would play along with a challenge this week. I have decided to play along with Fusion Card Challenge and I had a wonderful time making my card. Last week a friend of mine really helped my out and I wanted to make her a thank you card so this challenge was a perfect opportunity to make her card. I used October Afternoon's 9 to 5 collection, Martha Stewart butterflies and an SRM sentiment. 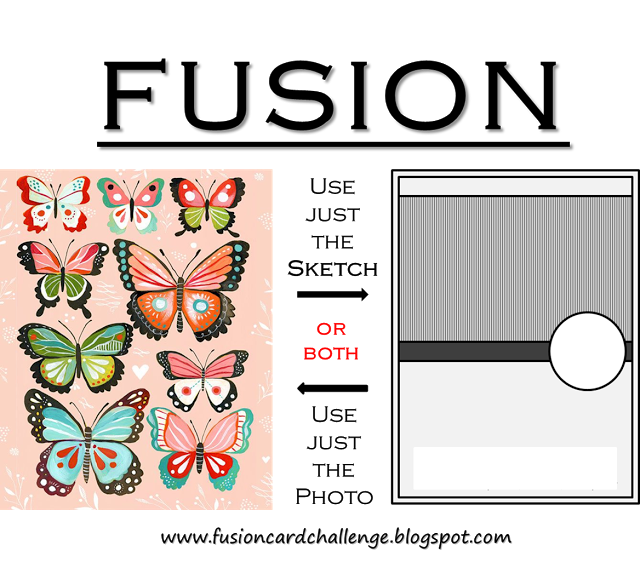 Great take on the sketch and I love your vellum butterfly. Thanks for playing along with us in the Fusion card challenge and hope to see you again. I'm staring at all the beautiful elements on your card! I love the vellum, the pearls, the patterned paper...it's stunning! Thanks so much for playing with us at Fusion! 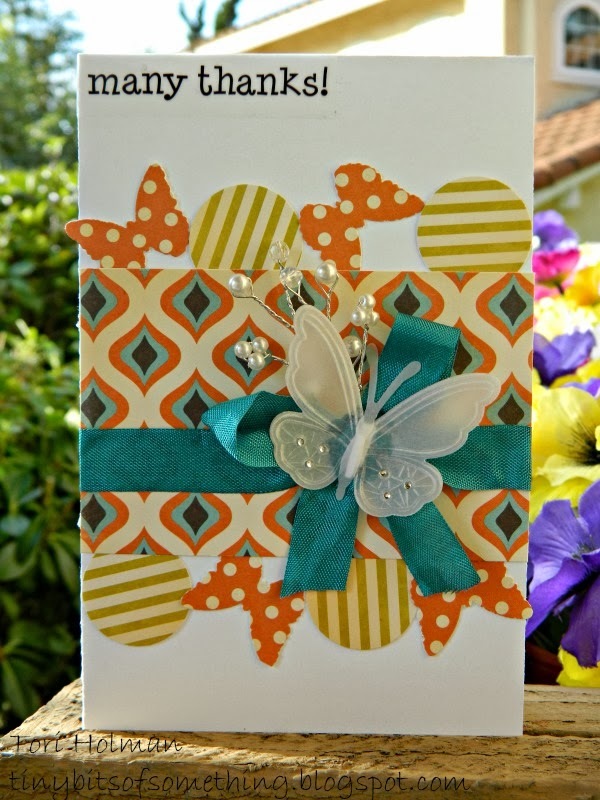 Lovely orange and blue color scheme on your card! Thanks so much for joining the Fusion Challenge!